Publishing international editions, and content localisation, is a potential new revenue opportunity for UK publications. There are different ways in which you can do this with varying degrees of control and financial risk to your brand, for example, setting up a local subsidiary or licensing to a local publisher. River has a different model: we launch newsstand magazines from our London office, whilst still making sure that they are fully localised. As they say, there’s more than one way to enlever la peau d’un chat! It’s not easy to recruit, but to add to our challenge, we wanted to recruit teams in less than a month who were French, German, Dutch and Swedish and all based in London. It was achievable to get great people – and we didn’t even have to hang out at the Swedish church as one person suggested! Editorial pillars and brand values are the same in every Weight Watchers edition – but there are many differences. It feels like no one has longer words than the Germans, so when features are translated they can be up to a third longer, and cover line texts have to avoid 20-letter long words. It seems that no other nation uses as much flowery language as read in a British magazine. The French editors find it hilarious. Beauty-speak in particular – why is everything ‘gorgeous or lovely’, they ask? The French take beauty very seriously and it’s all about the science not the superlatives. Remember this when your magazines are due on the newsstand and Swiss Customs refuse to clear them as they have no export invoice for EU goods! Two words: Costa Cruises. Our wonderful editor changed it in the nick of time. Our local Ad Agents are primed to sell the most difficult shape of print advert at the very last minute – editors love me for it! Who can complain about travelling? 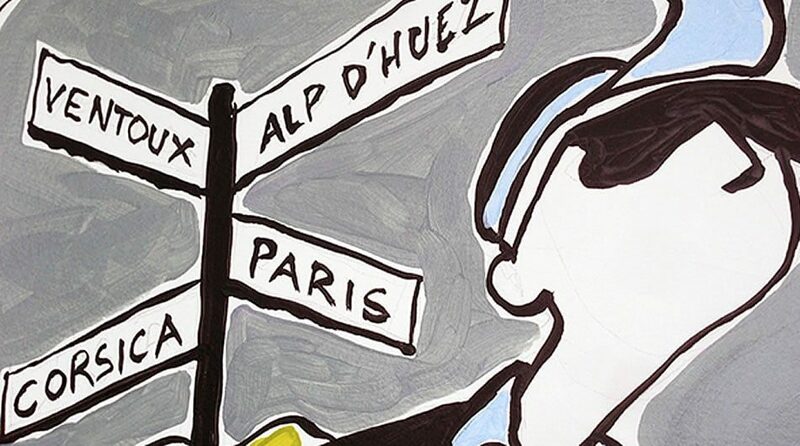 One tip: take a corkscrew with you on Eurostar trips from Paris! But the crucial question – has it all been worth it? Since launching we have had some amazing successes. 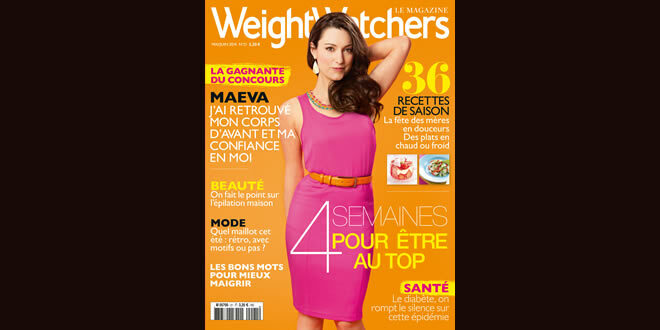 In declining magazine markets, the French and German Weight Watchers editions both outperformed the market; year-on-year sales have been +10% and +5% respectively in 2013. 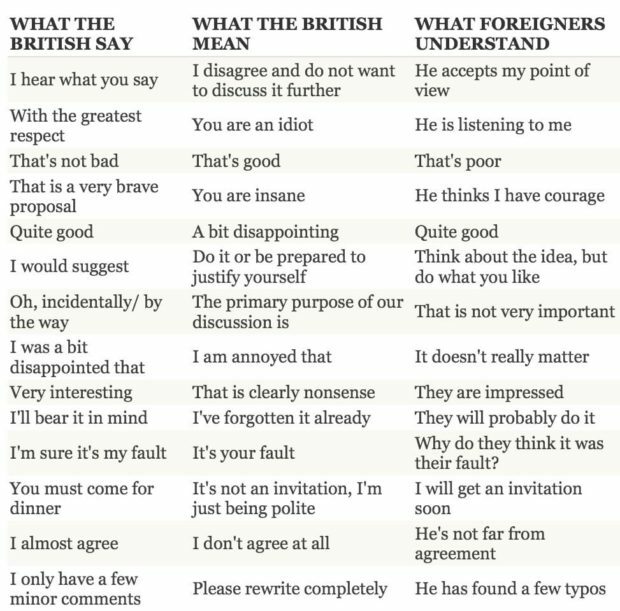 Finally, it seems that no one really understands what the British are talking about! This chart went viral and completely summed up the wonderful, frustrating, fascinating experience of working internationally. 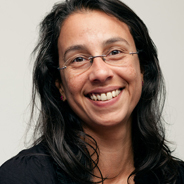 Siriliya Nawalkar has worked in the international magazine business since 1999.